It makes me so sad that this by far is the overwhelming beliefs as to what relationships are. It’s a mix of what we thought we saw in our parents, romanticized romantic comedies, and our smart phone culture where possibly technology knows us better than ourselves. In a relationship, you can NEVER be too clear as to what you want and need in a relationship. In fact, if a 7 year old can’t understand it, you’re not clear enough. It’s not because you or your partner are dumb, it’s because that’s what effective communication is. But you have to start with knowing what YOU want, and that’s what today’s episode is all about. This episode is the first in a two-part series. 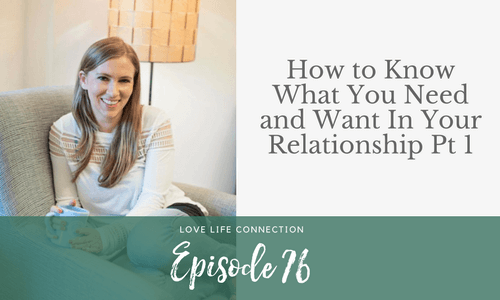 Next week, I’ll teach you how to effectively ask for what you need/want, but first, let’s get started with you knowing what you want. Get the free cheat sheet: Discover what YOU truly need and want in your ideal relationship.